We have even more sad news to report today. Norman Freeman, Class of 1966, passed away at his home in Cocoa, Florida on Saturday, October 3, 2009 at the age of 60. 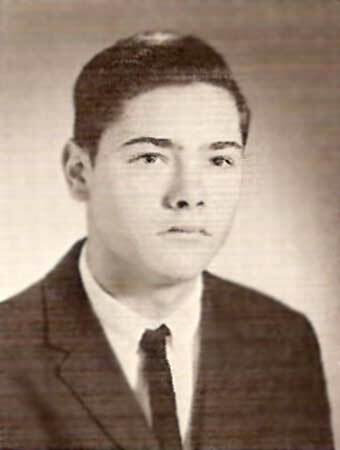 He was the brother of Barbara Freeman Lambert of VA and Diane Freeman Reilly of VA. 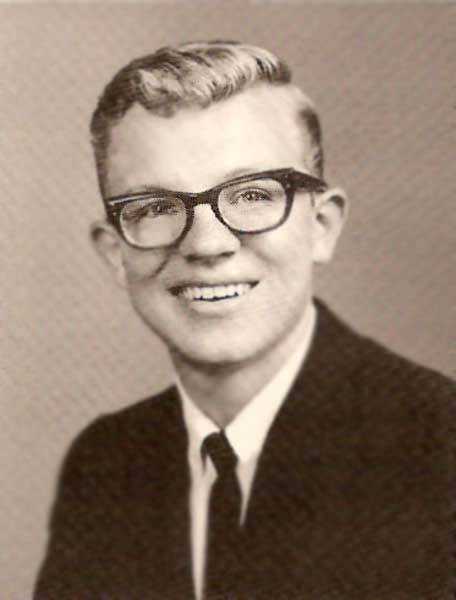 Thought I would let you know that Norman Freeman, NNHS class of 1967, passed away Saturday, Oct. 3 in Florida. Thank you so much, Mike. I read this, but didn't pick up on it. I found Norman pictured with the seniors in the 1966 Anchor rather than the 1967, so I'm placing him with that class, at least for now. 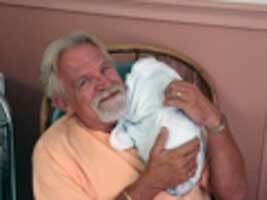 COCOA, FLA. - Norman W. Freeman, age 60, passed away at his home in Florida, on Saturday, Oct. 3, 2009. He is survived by his wife, Peg; two sons, Jerry of Newport News and Brian (Erica) of Portsmouth; two stepdaughters, Lisa Corley (Joel) and Stacie Martin (John) of Florida; granddaughter, Savannah of Portsmouth; and his dog, Taz. He is also survived by his mother, Brigitta; two sisters, Barbara Lambert (Larry) and Diane Reilly (Ed) of Virginia; niece, Kelly Pearson (Chris); nephew, Nick Reilly; two great-nieces, Alyssa and Taylor; and one great-nephew, Triston. As per his wishes, he will be cremated. No services will be held. A celebration of his life, with friends and family, will be held from 6 to 9 p.m. Friday, Oct 9, at his sister's home. For information contact, Jerry Freeman at 757-749-1494. View and post condolences on our online guestbook at dailypress.com/guestbooks. Published in the Daily Press from October 6 to October 7, 2009. Norman was our best friend. We spent many nights playing pool for the Ponderosa Posse, socializing at Taylor's and the Rack. He will be dearly missed. Our thoughts and prayers are with all of Norman's family and friends. Please try and focus on all the good times you were able to share with him. God bless. I am so sorry for your loss. Please know your family's in our prayers. May God Bless you all. I knew Norman as a young boy as I am 13 days older. Norman's Mother Brigitta and my Mother Erna Wilkerson are Life Time German speaking Ladies. Our Family Prayers are with Norman's family and friends. My thoughts and prayers are with the family. Brian is my Grandson-in-Law. I know Norman will be greatly missed. ~ Doris Mizelle, Myrtle Beach, South Carolina. Please accept our sympathy for the family's loss. As friends of Barbara and Larry, we know Norman will be missed. I will miss his friendship and counsel. He was one of my truly GREAT FRIENDS, like Neil, Dale, Mike and Doug. I always thought we were going to live forever! Three of our guys are gone now and I hope they are together waiting for the rest of us. Guys like Norman were one of a kind! He was always Norman, no matter where he was or who he was with! My life was a little bit better for having been his friend. Our hearts and prayers go out to the Freeman family during this very trying time. May God Bless you all. Norm made me feel at home my first day at work a few months ago. He was always the first man on the job. His coffee and conversation always gave me a positive outlook for the day ahead. He had a commanding presence and I miss him. May God Bless him and his family. We will all face this eventual reality someday ourselves and hopefully we will be as well liked and remembered as Norm. Norman was loved very much by his family, friends and co-workers here in Florida and he will truly be missed by all that knew him. Our sincerest sympathies are extended to the Freeman family and their friends at this difficult time.